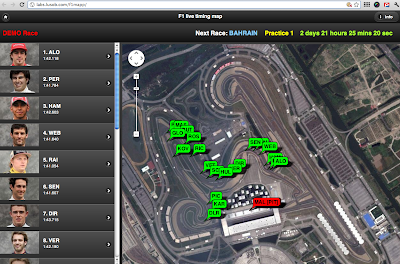 This is interesting (via Google Maps Mania, an F1 Live Timing Map (about). The timing data will apparently be pulled from the F1 Live timing source. 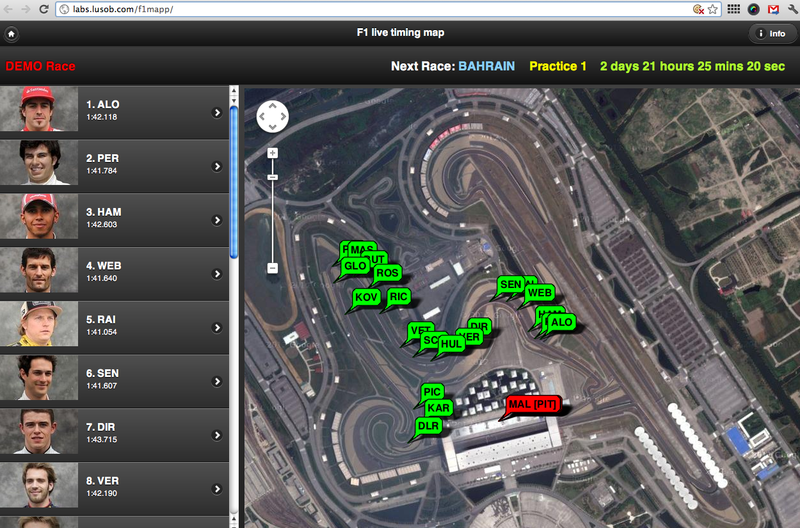 From a quick peek at the source code, an array of 100 locations around the track are used to position the marker depending on how far round the track it is, based on the time spent on the current lap given the current time of day and presumably some notion of the time of day when the lap was started (I'm not sure what the live timing data actually contains?) I'm not sure how the hundred sampled marker points were identified either, but refining this is presumably something the McLaren telemetry data could contribute to? Thanks for share about Sports. I want to share more information about sports. I am sure you will be get more knowledge about Sports.